Happy Quilting: Cedar Chest Retreat!! 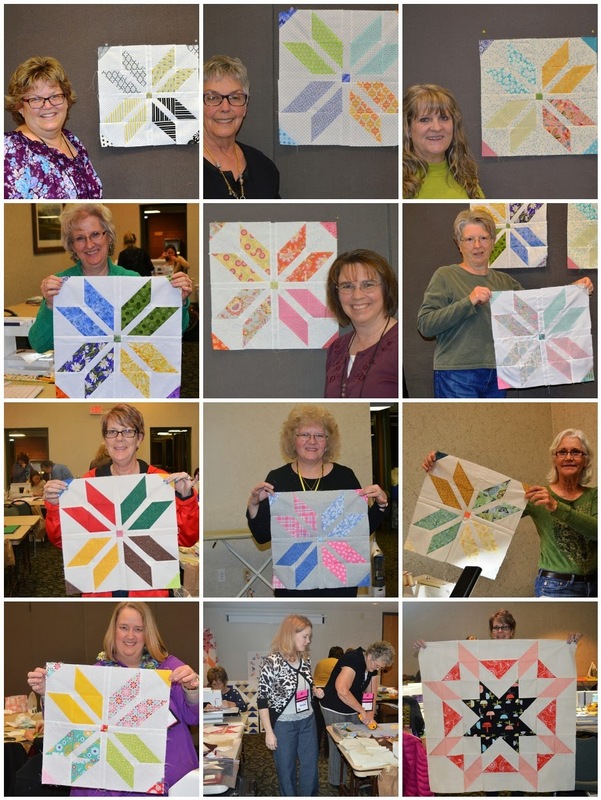 The first weekend of the month was the Cedar Chest Quilt Guild Annual Retreat!! This is Cedar's 8th annual retreat and it just continues to get bigger and bigger each year. And it is so fun to see friends returning from previous years!! I took one class, and taught 2 classes. (Summer Breeze and Starburst) The ladies in my class were just amazing!! Yup, once again I was reminded that quilters are just some of the nicest people in the world :) All of the ladies worked so hard and made some beautiful blocks!! Getting together and learning something new is sooo much fun! I would love to make that block! How fun!